Assembly Load Trace: The following information can be helpful to determine why the assembly 'System.Web.Razor' could not be loaded. Install MVC on the web server (which is not always possible). Copy the appropriate dlls from your GAC into the bin folder of the umbraco site. To do this open "%windir%\Microsoft.NET\assembly\GAC_MSIL" in explorer and you will find all of the dlls installed in the GAC and you can copy the appropriate versions into your project. This is similar to the above method but bypasses building the project. In terms of files you will likely need more than just System.Web.Razor.dll however this will work for all of the missing files. Reinstall package Microsoft.AspNet.Razor, like ADreNaLiNe-DJ posted. The best way to do this is using Update-Package command, because The Install-Package command does not provide an option to force a reinstall, see docs. Non of these solutions helped me : either because i can't install anything on the server either because i prefer not including dlls directly without using Nuget. Delete Nuget clear "Temp" folders. Delete Nuget package from project source and then re-install Nuget Package using package manager. Clean project & build project. 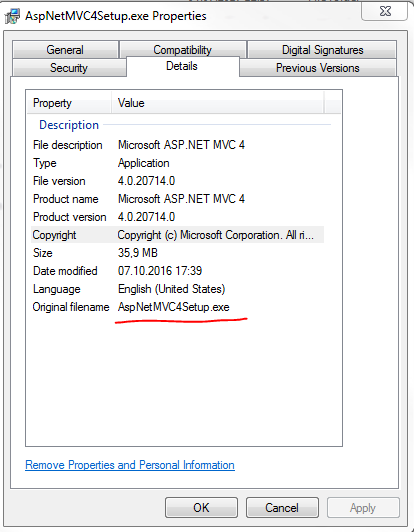 I did not want to install visual studio and development environment, so I have installed AspNetMVC4Setup.exe in Windows server 2016 machine and it solved the problem. The installer was downloaded from Microsoft website. Not the answer you're looking for? Browse other questions tagged c# asp.net asp.net-mvc deployment umbraco or ask your own question.